Hotel dei Pini in Alghero, located on the wonderful Bombarde beach, is the ideal choice for couples who want to enjoy the seaside peacefully. 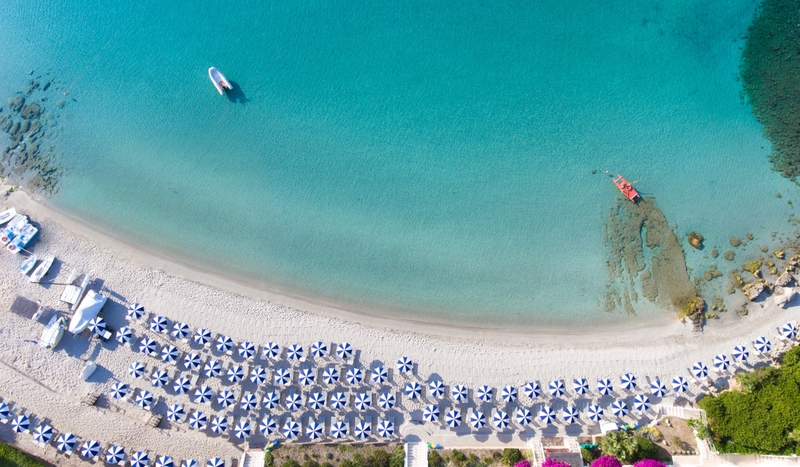 Our hotel also boats its own private beach equipped with parasols and sun loungers, in the most sheltered part of the bay, which is famed for its fine, golden sand and its shallow, transparent water. Couples looking for a place to spend a relaxing romantic weekend or a tranquil summer holiday will find at Hotel dei Pini all of the comforts of a 4-star hotel and all the advantages of staying close to Alghero, a city known for, amongst other things, its nightlife and which you can easily reach with our car and bike hire service. At the hotel, you will have access to a fantastic panoramic swimming pool and an excellent restaurant that, every evening, offers up a different menu based on authentic produce and typical dishes. For couples who love to relax, there is also a wellness area where you can enjoy a regenerating massage or pamper yourself with one of the many beauty treatments on offer. For those with a passion for trekking and hiking, there is nowhere better than the stunning Porto Conte Nature Reserve within which we have the good fortune to be located: a lush, untainted natural environment that will afford stunning, evocative, cliff-top views and enchanting walks through the woods, getting up-close and personal with the fragrances of Sardinia and rare birds, deer and Mediterranean fauna. And if you're on your honeymoon or you just want to carve out some romantic time, we can organise for your a delicious candlelit dinner on the beach or a captivating aperitif at sunset. For those who want to want to combine a relaxing holiday with a little bit of fun, you will find just a few km from Hotel dei Pini the delightful city centre of Alghero, which plays host to myriad restaurants and bars, where you can spend pleasant evenings sipping on a delicious drink as you sit back and listen to some great live music; younger guests may enjoy visiting some of the many nightclubs that the city has to offer.